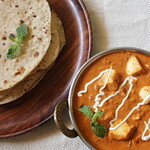 Dont miss this wonderfull Cuisine of India. Sure you will enjoy, along with your family, this Rich Royal Food. The deadline has been extended for a week, that is till April-6th, to provide you sufficient time to send me your entrie's. check the event announcement post. To have a glance on entrie's, click here. 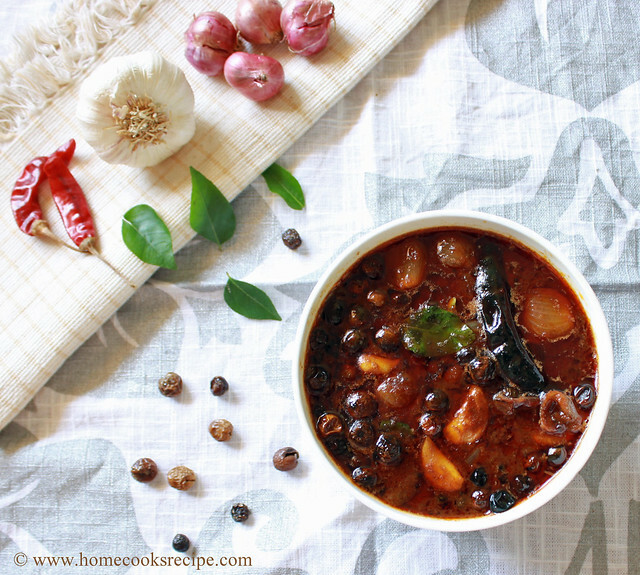 Milagu Kuzhambhu /Spicy Pepper Curry, is best to have, when you are affected by cold. Its hundred times better than your tablet's and vaporizing balm's. Last four day's were decision making day's for us. we were to decide, whether to put our just 21 month old kid in play school? if so, in which school? Debates and discussions with neighbor's and friend's, all took up to a next level. The Responsibility. Last Monday, on a nice Muhurtham Day, We joined our Kid in a play school and he will be going to school from June 2nd Week. Day's are running fast, and our son is growing up, and our responsibility also mounts on. Dry Roast the spice's and let them cool. add 6 shallot's, 1/2 a Red Onion and a tomato to the dry roasted ingredient's and grind them into a nice thick paste. keep it aside. In a Pan, heat the oil and add mustard, when it starts jumping, add the remaining shallot's and Garlic pod's. Fry it well, till they are half-way cooked. Now add the Grounded paste, salt, Turmeric powder and half a cup of water and mix well. add curry leaves and close the pan with a lid, and let the pan sit on low flame for about 5-10 minute's. You will get a nice aroma filling your house. enjoy it and switch off the stove and move the curry to the serving bowl. 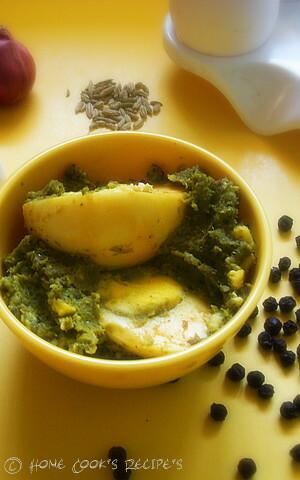 Now Coming to Egg-Pepper Masala, this is also the one, that i prepare only, when we are affected my cold. 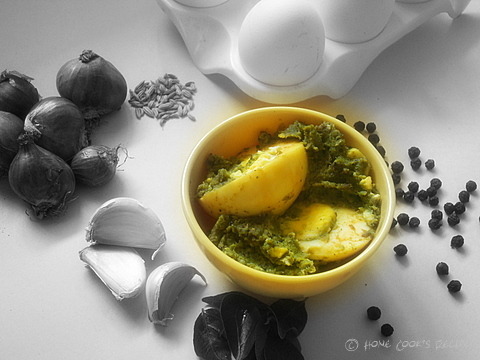 and this is my favourite egg recipe too..
Have Shallots, Pepper, Saunf, Pepper, Corriander leaves, Garlic and a little water togeather and grind them into a thick paste, with very little water. Boil egg's and remove its shell's, cut them into half and keep aside. Now in a pan, heat the oil, add mustard, when it crack's, add curry leaves, the grinded paste and fry them well till the raw smell of the spices go off and the green color of the corriander leaves changes to dark green. add salt, turmeric powder and boiled egg's. mix them well. because of shallot's you wont feel the spicyness of 15 pepper's. if you want it to be spicy, add chilli powder and mix well. let them sit on slow flame for about 3 minute's. This is best with Rasam and Sambhar. I am sending these two recipe's to Divya of Dil-se, for her Think Spice-Think Pepper Event, event created by sunita. It has been long time, since I Clicked for Jai and Bee's Click Event. Finally yesterday i was able to click these Picture's. I Clicked this Butter Milk Stirrer(Mathu). I use them very less, i feel the pulse mode in my mixer-grinder does better job than this. Here is My Butter Milk Stirrer/Mathu taking rest after it's job.. 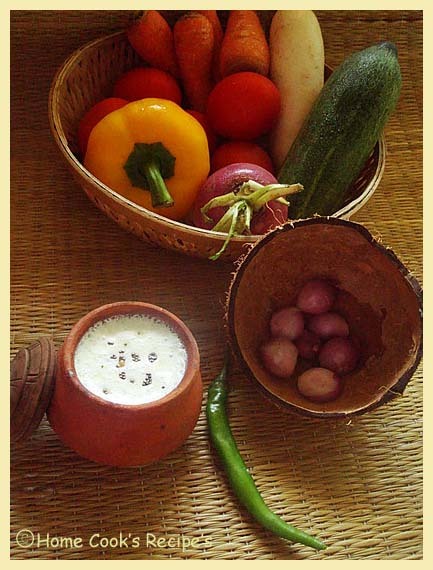 Butter Milk in Mud Pot's and Shallot's on Coconut cup, and a green chilli for a byte, a basket of veggies, all on a bamboo mat. Pulse them all for a second. add them to the pulsed butter milk. This is a Perfect drink for the Summer. It cool's you down in seconds on having it. It's heavenly with Pazhaya Sadham. Iam gonna rush to my kitchen, to have a cup of butter milk, the above picture tempts me a lot!! Will you all beat me with this?? Peace..white flower's are here to spread peace!! R u Tempted to beat anyone, iam not here. When i googled for Lucknawi cuisine, i was really amazed by the variety of Royal Dish's rooted from there, like Dum Briyani, Shahi Paneer, Kebab's and more and more. Shortlisting on what to try was really a tough job, Lauki was one vegetable, which i dont buy at all, RCI-Lucknawi made me buy these LAUKI'S. 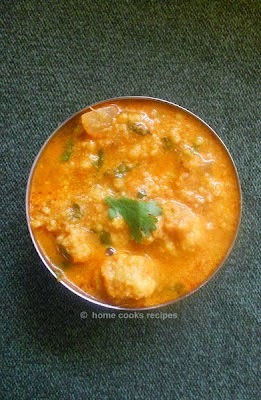 when i prepared these Lauki Kofta's, it came out so well and tasted to good. my hubby to like it a lot, and am sure i will keep buying this veggie from now on. Thou i have lot of recipe's lying on my draft lap, iam posting these Lucknawi special's that i prepared last Saturday. they were absolutely delicious. Each dish was very unique on its own. First Pudhina/Mint-Paneer Rice, it is not a part of Lucknawi food, but it went so well along with the yummy Boondhi Raita. Let me start with Sweet, Gulab Jamun. 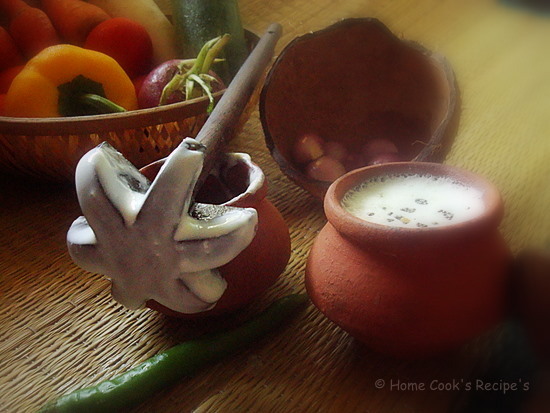 Thou its a Bengali milk sweet, it also features in Lucknawi Cuisine. 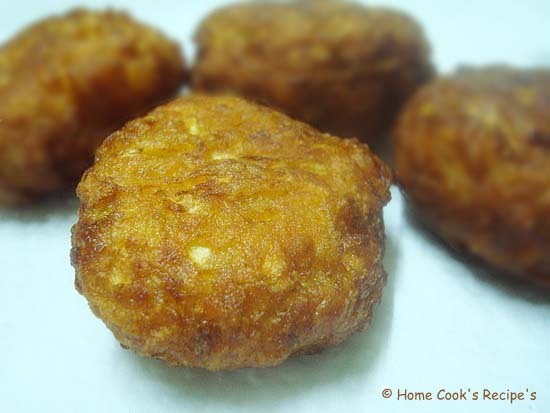 An absolute Ghee Fried Khoa ball's in Sugar Syrup. Does'nt it sound Royal? 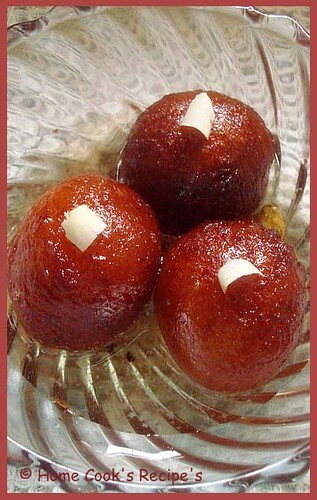 I just prepared them with MTR Gulab Jamun Mix. but i want to share some tips. 1. The Dough for Gulab Jamun should not be so hard or loose. so exactly follow the measure for water to mix with the flour as per the Packet instructions. 2. The ball's should be immediately fried in medium heated oil in a medium flame. 3. After Frying them, just get them off on a tissue paper. let them cool for a minute, before they are dropped in the hot sugar syrup. 4. The Sugar Syrup consistency should also be perfect, for the gulab jamun's else the sugar get's dried and makes the jamun a dry jamun. so if the packet instruction's states you to boil the sugar water for 15 minute's, do that and keep checking the consistency. the consistency is a before stage of single string consistency. 5. Just put some Saffron strands and crushed Cardamon on the sugar syrup, to get a nice aroma. 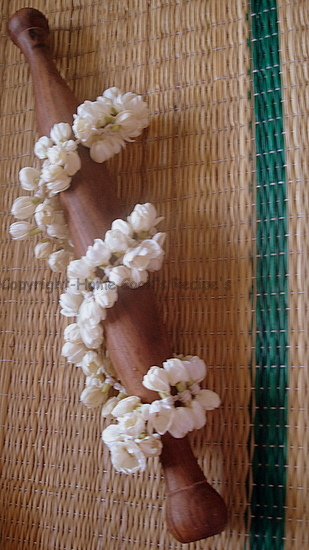 and serve them with grated Badam slices for a pefect look. Now coming to the Starter, Lauki Kofta, i first planned to prepare Lauki Kofta curry, but, the long curry process stopped me. i will try to post a kofta curry recipe soon. 1. First Peel the outer skin of half a Lauki. 2. If possible remove the seed's and grate them. 4. Mix 3 tbsp of Gram flour/Kadala Maavu, 1/4 tsp of cumin powder, Turmeric powder a pinch and 1/2 tsp of Chilli Powder. and shape them into ball's. i just flatted those balls, so it could get cooked evenly while frying. 5. Heat oil in a pan, and deep fry the lauki ball's in a medium flame, so that it gets cooked inside too. Serve them Hot or use them while preparing Kofta Curry. Thank You Nags for your wonderfull Tutorial on How to Blur Background using Photoshop, the ABOVE picture, is what i tried. After Finishing the Starter, let's come to the main dish Paneer-Mint Rice and its accompanion Boondhi Raita. 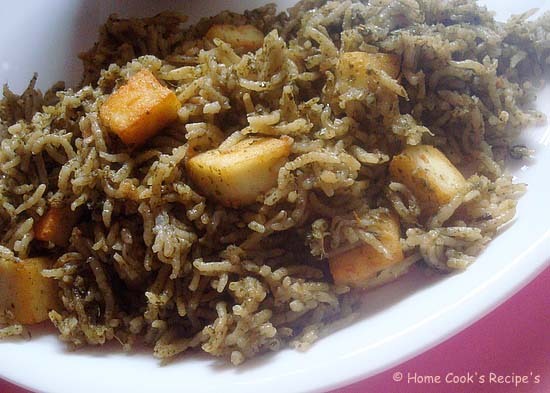 I just fried small paneer cubes in 1 tbsp of oil and added them to my Mint Rice. 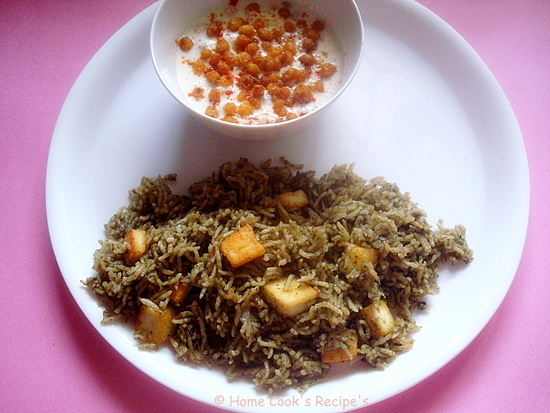 You can check my Mint Rice Recipe Here. 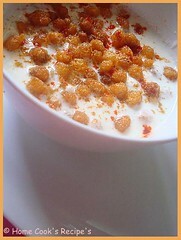 Here comes my favourite Boondhi Raita..
6. Optional's-I added little corn flour and a pinch of sodium-Bi-carb, to make them crisp. 7. Final but not least Jalli Karandi/Slotted Spoon and a spoon, and Ofcourse a cup of Yogurt. Heat oil in a pan. In the Mean-time, mix the gram flour with salt, chilli powder, cumin powder, asafoetida. and add little water, say it should be like the consistency of Bajji Mix. a little watery one. When the oil is heated, in the jalli karandi/slotted spoon, pour 2 spoon's of prepared flour batter and keep pressing them on the hole's/slot's. Now fry them. Prepare Boondhi's and keep it aside to let them cool. Then mix with the yogurt. sprinkle some chilli powder and cumin powder as a final touch. this is an absolute drool worthy raita. It's nearing the deadline for RCI-Lucknow. So Cook up and post fast. As Summer started over here, i prepare at least one dish with Greens for lunch daily. These Sirukkerai soup,Sirukeerai Rajma Curry dishes were the one's that i thought worth of sharing it with you all.. This is very easy to prepare and its a big energy booster. * Separate each leaf from the bunch and collect it in a basin. * Now wash it for at least 3 time's to remove the Mud and small particles. * In a Pan, have ¼ tsp of oil and saute the leaves. * In a minute or two, it gets cooked. Cool them. * Grind them with a cup of water and salt into a paste. * Now in a pan, heat the grounded paste and let it boil. 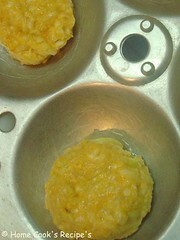 * Have 1 tsp of corn flour mixed in a cup of water without any lumps. * Add the corn flour mix to the pan, and stir well. * Now the soup gets thicker. * Add pepper and salt according to your taste. 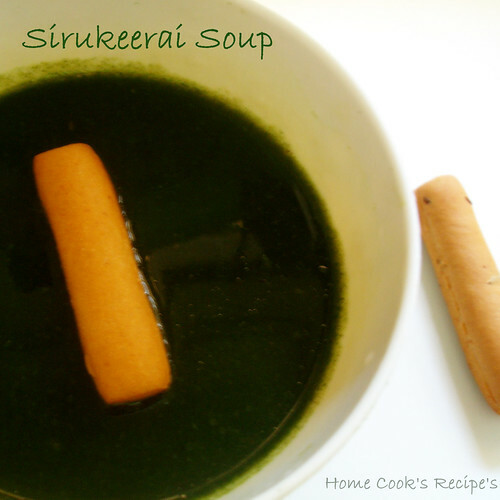 I tried a little to find the english name for Sirukeerai. but got only latin names. if any one could share its english name, it will be very use full. 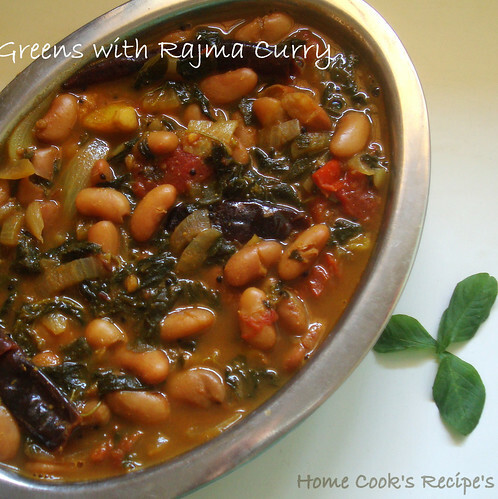 okay, why have i combined this Sirukkerai/Green with Rajma/Kidney Bean's. These Kidney Bean's do real good to Kidney's. so why not it combined with sirukeerai for the maximum benefit.. Believe me, it tasted so good. the combination worked out very well. 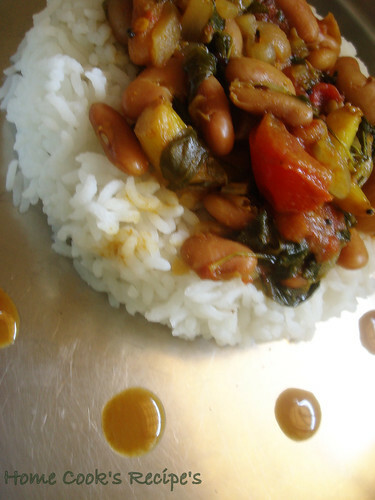 its better to try with this faded Rajma rather than Merone Red Rajma. These Faded Rajma gets cooked fast and is so soft. its nice to have it in the Kuzhambhu/curry. In a Kadai. Heat 3 tsp's of oil. add mustard, when it cracks, add fenugreek seeds, curry leaves, garlic pods and red chilli's. fry them well. 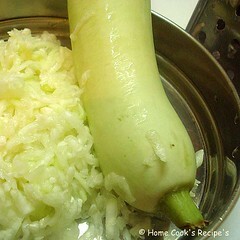 Now add Finely Chopped onions, fry them. add finely chopped tomatoes and mix well with the onions. Now add the green's and cook them for 2 minutes. Now add Rajma/Kidney Bean's to it and mix well. add all the Powder's mentioned in the order. add sufficient water and close the kadai with a lid. slower the flame and let them sit on low flame for about 5 minutes. Now iam sending this Curry for Legume Affair started by Dear Susan and this month hosted by Laurie. 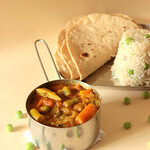 I know, you all find it difficult to find vegetarian Lucknowi recipe's. you can look for awadhi cuisine's veg recipe's too. 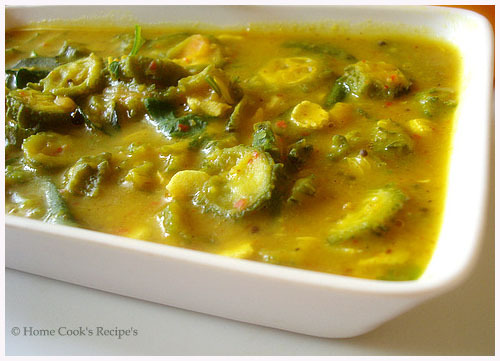 Below are few link's that will help you to explore more on lucknowi cuisine.. 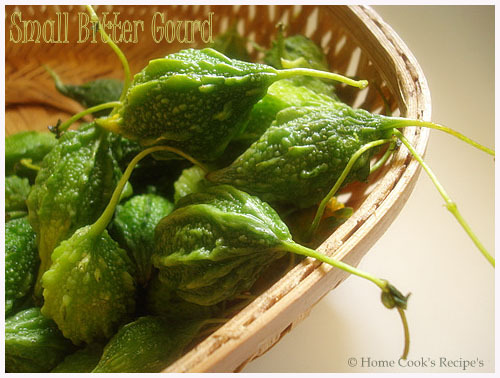 I read in a Siddha Medicine Book, that these very small bitter gourd's are good than the big one's. In Pazhamudhir Cholai, i spotted these small bitter gourd packet's. after buying it, I could'nt think beyond the pitlai recipe, as it was so tender. The Pitlai Recipe is of my Grand Mother's. I love the freshly grounded spice in the tuvar dal along with the bittery taste. 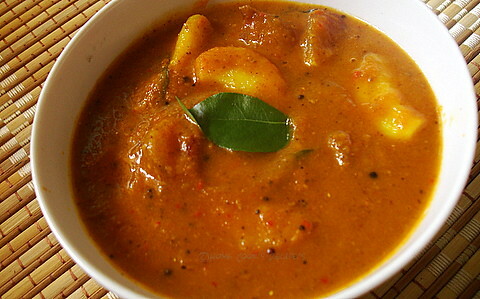 If you are bored of trying sambhar's, you can give this a shot once a while. It's Very much Good for the Diabetic's, as it lower's the sugar level in the blood. It's not good, when you consume if you have Kidney Stone Problem. It's not Good to consume while you are Pregnant or Nursing your Baby. First cut the Bitter Melon's into thin round slices and boil them in adequate water. after it is cooked, Add the Grinded paste to it and mix well. Now add the Tuvar Dal and a pinch of turmeric powder and mix well. add tamarind water and let it boil. add salt to taste. Now do Talippu/Tadka and pour over it before switching off the flame. It tasted the same as the big one's. we liked the small thin slices in the dal. give a try when u find some of these.. 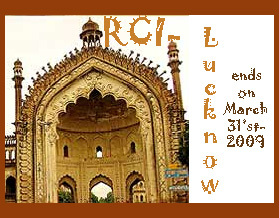 Remember to send me your entry for RCI-Lucknow. It’s really great to host Lucknow cuisine here at my blog. Thanks Lakshmi & Vanamala for giving me this chance, which helped me to explore on Lucknow cuisine. I was almost waiting for a year to host this RCI event. Now the most awaited takes its turn on me. Here I go..
It’s the Capital City of Uttar Pradesh(UP). This Multi-cultural city is the most populous state in India. It is also called as City of Nawab’s. For more details on places, visit here. It’s a Rich Cuisine, where most of the cooking methods were formed to cook for the mughal kindgdom. It is also called as Nawabi style cuisine. It has a style of cooking called Dum Style Cooking(Cooking in low flame). The spice proportion will also be so defined and perfect here. So Cook a Royal Rich Nawab Dish for your Nawab’s , picture it and send across to me. Here are the Simple Guidelines for the RCI-Lucknow Cuisine. (a) Prepare a Dish that is a Vegetarian[Egg’s are allowed]. (b) Post as many Luknow Dishes with Recipes as you like on your blog this March 2009. More entries per person are allowed, but the rule is, it should come under Luknow Cuisine. (c) Link back to this RCI-Lucknow Cuisine event announcement and to Lakshmi’s blog is a must. (d) If you can include any regional info you would like to share about the lucknow cuisine in your post, it is very much appreciated. (e) If you have any tip’s you wish to share on Lucknow dish, it will be so usefull. (f) Use of the Logo to the event is also appreciated. Url of the logo image: "http://farm4.static.flickr.com/3370/3328443940_0ff71b972a_m.jpg"
(g) I will also accept your old post’s, but you should link back to this announcement post and to Lakshmi’s blog. Re-Publishing old post’s for RCI-Lucknow Cuisine will make me more happy! with SUBJECT as RCI-Lucknow and along with the following details..
(i) Deadline for all the entries will be the 6'th of April-2009. I will do the roundup by 10'th of April-2009. (j) If you don't have a blog, but you want to be part of this wonderfull event, you can send me your Recipe along with the picture of the dish. Dont forget to mention your name and your location. I know, you all find it difficult to find vegetarian Lucknawi recipe's. 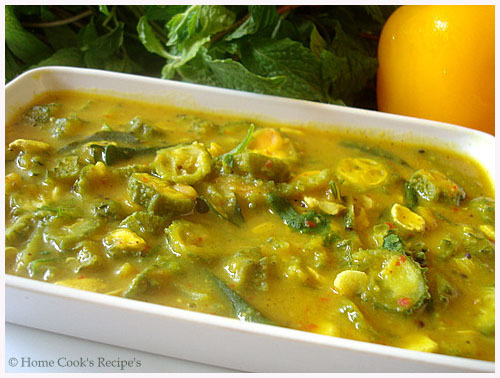 you can look for awadhi cuisine's veg recipe's too. Below are few link's that will help you to explore more on lucknawi cuisine..
Keep Sending me ur entrie's..